This deserves perhaps an even longer blog post, but I wrote this quickly as an appreciation to the previous blog by Juan Carlos Rocha. The previous blog post puts focus on a quite problematic nexus within social-ecological studies, and management theory more generally: the focus on “key-individuals”, “leaders”, and “institutional or social entrepreneurs” to explain change and ‘transformation’. In my new chapter on “Transformative Collective Action” (Ernstson, 2011a; see blog post here) I review some of that literature and conclude that such constructs can create an analytical trap, or blindness, since these constructs provides the analyst a too easy way out for explaining change; ‘key-individuals’ tend to step out on the scene like ready-made ‘magic boxes’ to put things right, very much like a deus ex machina in Greek or Brechtian dramas, who suddenly solves intractable problems. To take research beyond key-individuals on one hand, and external/structural factors (equally ready-made) on the other, seems crucial to me. The references put forward by Duncan Watts in Juan’s post are highly useful here (LeBon, Tolstoy, Berlin), as are the search for mechanisms like those Jon Norberg studies through the clean world of agent-based model experiments. However, what is also badly needed in the field of resilience and social-ecological studies are more empirical work, and more theoretical constructs, frameworks and registers that allow us to appreciate the often messy but profoundly collective nature of transformative or revolutionary change. (These ways of doing research should also acknowledge that change processes will be quite different from place to place.) To study such change must necessarily be more than just dividing a process into ‘phases’, looking for ‘windows of opportunity’, and plug in certain individuals in the account who can ‘seize’ these windows and usher in a new way of doing things. “social actions made possible through, and emerging from, the patterns of relations between mobilizing actors, and thus dependent on the full structure of the social network, and not just the local surrounding of single actors” (Ernstson 2011, p. 258). Another important Italian is Alberto Melucci, who used a constructionist and cultural approach to collective action, emphasizing that collective action needs to be constructed and that ‘structural’ or external factors are not enough to explain change since a practice of engagement is needed to translate ‘structural/external’ factors into tangible action. He also emphasized that collective action necessarily also produces or constructs new ways of knowing, thus necessarily upsetting and challenging dominating ways of knowing (and one needs to account for how such knowledge is constructed in and through collective action). 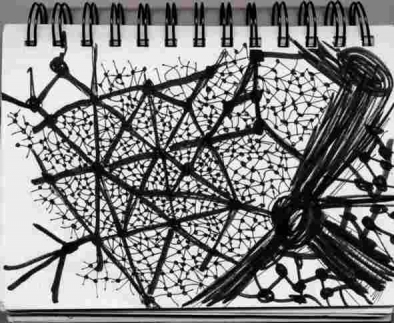 Thirdly, I have been drawing on scholars like Jonathan Murdoch, Bruno Latour, John Law and Annmarie Mol who use post-structuralist geography and actor-network theory (ANT). This body of scholarship decenters the human subject in studying change, and thus “reassembles the social” (Latour, 2005) so as to allow also non-humans to be part in constructing/producing collective action. This makes it possible as an analyst to stabilize accounts of ‘distributed agency’, where the ability for change resides among people and things, which together come to make up quite heterogeneous collectives. For instance, in my case study here in Cape Town (Ernstson 2011), certain plants seem to participate in modes of empowerment, and play an important role in stabilizing collectives that can carry action across space and time. For the Occupy Movement, tents, streets, squares and Internet seems key but exactly how these things are enrolled into a stabilization of collective action needs ethnographic engagement. Importantly however, careful analysis of such heterogeneous collectives can come to also show how alternative ways of knowing and becoming are produced in and through the same collectives that carry or produce action, and thus such analysis lends itself to study how collective action engages the world in epistemological and ontological politics. The latter seems key in any transformation worthy the name. This was just a short burst in response to Juan’s interesting blog post. If anybody has more ideas on this, tips on empirical studies or theoretical treatise in the area of social-ecological studies that relates to this, please make contact, or post comments, as usual. Ernstson, Henrik. 2011. “Transformative collective action: a network approach to transformative change in ecosystem-based management.” Pp. 255-287 in Social Networks and Natural Resource Management: Uncovering the Social Fabric of Environmental Governance, edited by Ö. Bodin and C. Prell. Cambridge: Cambridge University Press. Ernstson, Henrik. 2011. “Re-translating nature in post-apartheid Cape Town: the alliance of people and plants in generating collective action.” Presented at London School of Economics workshop on Actor-Network Theory in Development Studies, 3 July 2011 organized by Richard Heeks. An N-gram is a sequence of characters separated by a space in a text. An N-gram may be a word, a number or a combination of both. The concept of N-grams simplifies the application of statistical methods to assess the frequency of a word or a phrase in body of text. N-gram statistical analyses have been around for years, but recently Jean-Baptiste Michel and collaborators had the opportunity to applying N-gram text analysis techniques to the massive Google Books collection of digitalized books. They analyzed over 5 million documents which they estimate are about 4% of all books ever published, and published their work in Science [doi]. The potential of exploring huge amounts of text, which no single person could read, provides the opportunity to trace the use of words over time. This allows researchers to track the impact of events on word use and even the evolution of language, grammar and culture. For example, by counting the words used in English books, the team found that in the year 2000 the English lexicon had over one million words, and it has been growing about 8500 words per year. Similarly, they were able to track word fads, for example the changes in the regular or irregular forms of verb conjugations over time (e.g. burned vs burnt). More interestingly, based on particular events and famous names they identified that our collective memory, as recorded in books, has both a short-term and long-term component; we are forgetting our past faster than before; but we are also learning faster when it comes to, for example, the adoption of technologies. The options for reading books with machine eyes does not end there. Censorship during the German Nazi regime was identified by comparing the frequency of author’s names in the German and English corpus. The researchers could detect a fingerprint of the suppression of a person’s ideas in the language corpus. The researchers term this quantitative analysis of our historic knowledge and culture through the analysis of this huge amount of data – culturomics. They plan further research will incorporate newspapers, manuscripts, artwork, maps and other human creations. Possible future applications are the development of methods for historical epidemiology (e.g. influenza peaks), the analysis of conflicts and wars, the evolution of ideas (e.g. feminism), and I think, why not ecological regime shifts? Above you can see the frequency of some of the regime shifts we are working with in the English corpus. Soil salinization and lake eutrophication appear in 1940’s and 1960’s respectively, probably with the first description of such shifts. Similarly, coral bleaching take off during the 1980’s when reef degradation in the Caribbean basin began to be documented. Similarly, the concept of regime shift has been more and more used since 1980’s, probably not only to describe ecological shifts but also political and managerial transitions. Although data may be noisy, the frequency of shock events may be tracked as well. Here for example we plot oil spill and see the peak corresponding to the case of January 1989 in Floreffe, Pennsylvania. Note that it does not show the oil spill in the Gulf of Mexico last year because the database is updated to 2008. If you want to play around with your favorite words or your theme of interest, have a look to the n-gram viewer at Google Labs and have fun!